What are your taxes going up to in Boston? 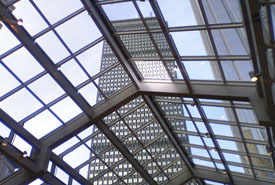 200 Clarendon Street, The John Hancock Tower, takes the prize with the largest bill at $20,204,640 or $11.51 per square foot. The building last traded 4 years ago for $930,000,000. • Address: John Hancock Tower, 200 Clarendon St. The Church of Scientology of Boston has decided to sell — rather than renovate — the Alexander Hotel on the corner of Mass. Ave. and Washington Street in the South End. The asset was acquired in 2008 for $4.5 million and is no longer large enough to accommodate the church’s needs to in excess of 50K square feet. You can read the Boston Business Journal article on its website. 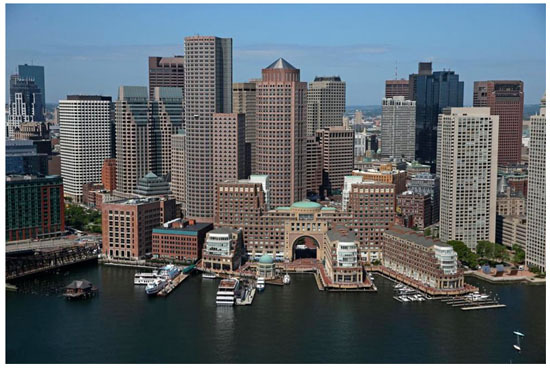 Boston is a $100 billion dollar city and the hub’s office tenants will be paying for it. Expect your office lease rates to rise with the new year’s tax bill. 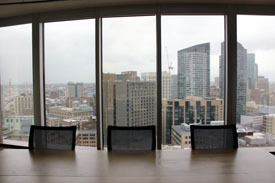 Coalition is the latest to enter the shared workspace environment, opening in Downtown Crossing at 101 Arch Street. Follow the link to read the complete Bostinno.Streetwise.co article. 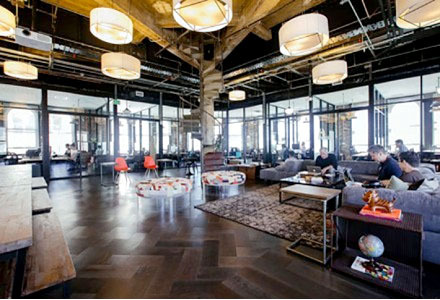 Additional information is provided by Bisnow on it’s website, here. 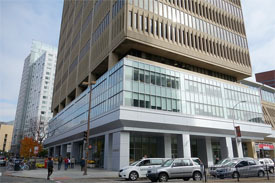 100 Cambridge Street is under agreement to be sold by the Commonwealth of Massachusetts. • Barron & Stadfeld, P.C. The torch gets passed to Kendall Square with office rents in Cambridge skyrocketing, and one market expected to climb even higher. Kendall is the spot to be for blue chip tech companies, but why – is it the view of the Boston Skyline? No, simply put it’s Harvard and MIT that are the attraction. Companies want to attract top talent and want to associate with these prestigious institutions any way they can. 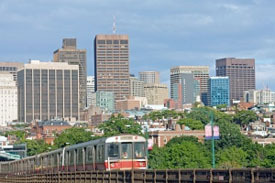 More information on the demand trends of Kendall Square office space is available on B&T’s website. 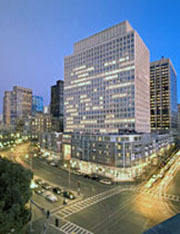 Year Up is on the move to 45 Milk Street, leasing all 61,000 square feet of the downtown Boston office building. 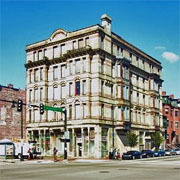 The Building last sold on 6/10/13 for $21,000,000. Creating a community for innovators to innovate might be one of the most valuable innovations in Boston. Yes, the deals that are brought to market through CIC are what the VC’s are looking for, but without Tom Rowe’s platform — the Cambridge Innovation Center — some of these ideas may have been kept on the shelf and not made it to market. Additional details and photos from the CIC’s 15th anniversary, are available on the Globe’s website. The construction of Fenway Center in Boston over the Pike could be getting closer. Developer John Rosenthal is looking to partner up with Gerding Edlen to get the project in the ground. The development of “Fenway Center calls for the construction of five buildings on 4.5 acres of land and air rights over the Turnpike. The 1.3 million-square-foot complex would contain about 550 homes, 80,000 square feet of stores and restaurants, and 167,000 square feet of office space. Multiple garages, including one straddling the Turnpike, will contain space for 1,290 cars. A revamped Yawkey commuter rail station has already opened at the edge of the property, according to the Boston Globe. 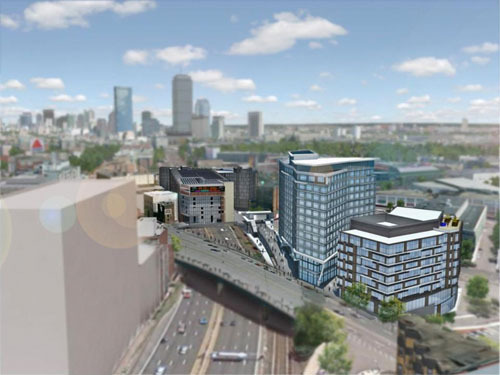 More information on the Fenway Center project is available on the Boston Globe website, here. 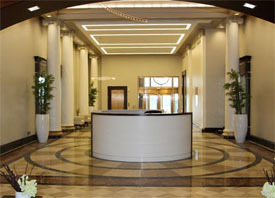 You can also read more general information on office space in Fenway on our submarket page.